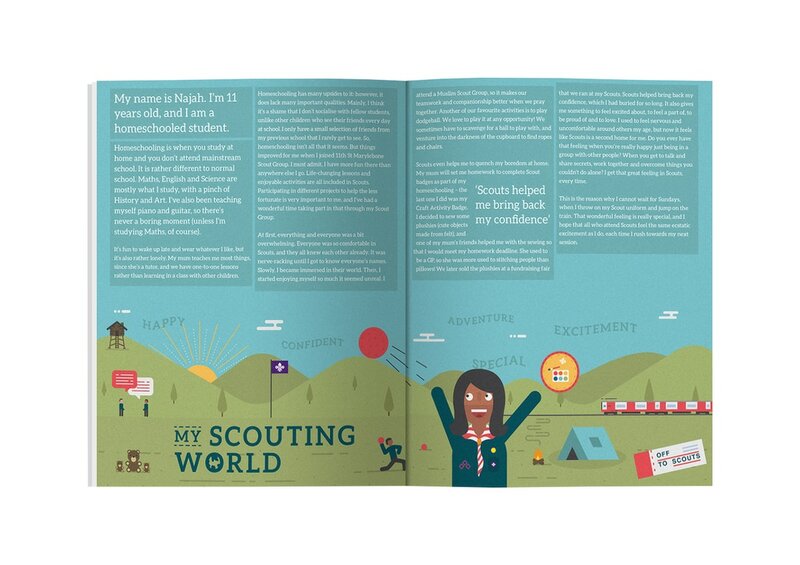 One of my university projects was a live brief to design a double page spread to go in the Scouting Magazine. We were allowed full creative freedom over the design. 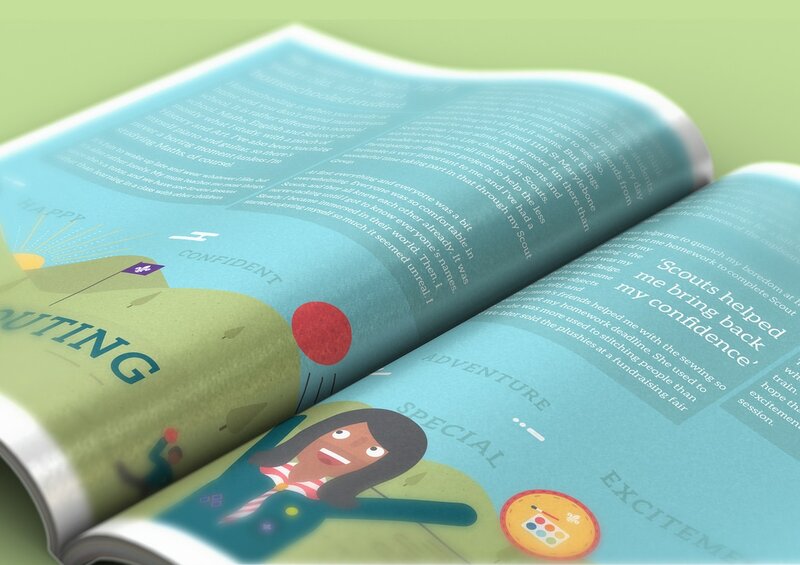 I approached this from a flat design point of view to display the topic on edge. A grain texture was added over the flat shapes in order to blend the design together nicely.